Remington electric shavers are one of the best and cheapest razors in the present market made by a well-known company that has had more than 75 years in manufacturing experience in making shavers. Its price may be cheap, but it is not cheap in its performance and quality. They mainly produce entry and mid level shavers for men, but they have more than thousands of satisfied customer who are very pleased with Remington shavers. If you desire the best market deal to buy your electric razor then Remington will be the best option for you. 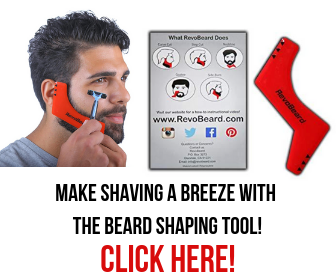 This razor uses modern technology to remove beards, mustaches, and sideburns from the face. For men and women who are looking for the best electric razors with the best performance, Remington electric razors are the most excellent one for them to remove their facial hair without skin irritation and bleeding. This Remington electric shaver review will help people to get their preferred razor within their budget. Remington XR-1370 Series – the best quality rotary razor that can give you the best shaving experience, but many people could not notice this yet. Its advanced design gives us an idea about its performance. This shaver is perfect for removing all kinds of hair. Remington F5-5800 Series – is yet another great razor from the Remington brand that can be purchased for a low price, but its performance is very good and you can get the best shaving experience. You should pick this one if you do not want to spend a lot of money. If you have a thick beard, then F5-5800 is definitely the perfect fit for you. Remington was very popular brand in the past but its performance is still very good. They first launched a rechargeable cordless shaver in the 60s. In the mid-70s, they began to use the foil shaver system. Remington has mainly two types of shaver in the market, one is the R series and another is the F series. 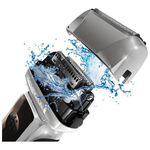 R series is a rotary shaver and the F series is a foil shaver. In the current market they don’t have the top electric shavers, but they have the best ones for your basic shaving needs. Like other top brands, Remington has not launched a new design within the past 7 years. Most of the people are not likely to stick with one brands/model for long amount of time. Few are pleased to spend less than 50$ for their shaver in hope that it will last the minimum of one year. No doubt that with the Remington brand, you will enjoy a comfortable and secure shaving experience. 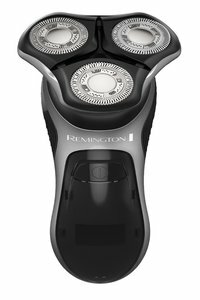 From my point of view, Remington electric shavers could be the best pick as an entry level shaver within a $20 to $50 price range. My husband uses the old Gillette blades since I know him, I think he finds the electrical shavers too expensive. I think he would give remington a try as its cheap!